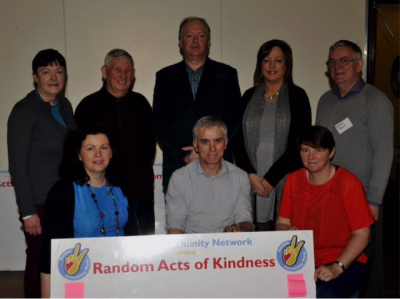 The Fermoy Community Network was set up by the HSE Community Work Department over 25 years ago. It was originally set up as an information sharing network and comprises members of voluntary, community and statutory representatives working or supporting groups and services in the community. Members meet to discuss issues relevant to supporting families and community health issues in the locality. Members have equal opportunity to contribute to the work and agenda of the group. The work of the group tends to change over time depending on what new community issues emerge at a given time. One of the early projects that the group supported and played a key role in was the setting up of Youthreach in Fermoy. The group has a long track record of influencing service provision in the area by responding to community needs. 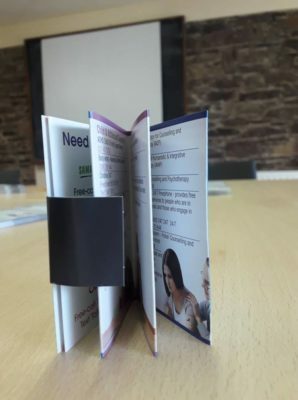 The network has hosted seminars, compiled community directories, conducted feasibility studies which led to the development of the community drugs project in Fermoy, run training initiatives, parenting courses and seminars. 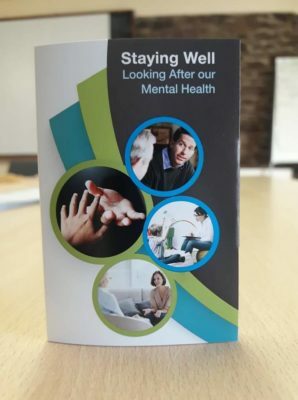 This is a mental health booklet which details supports and services for the Fermoy/Mitchelstown areas. The booklet was launched in Fermoy on 13th November 2018. 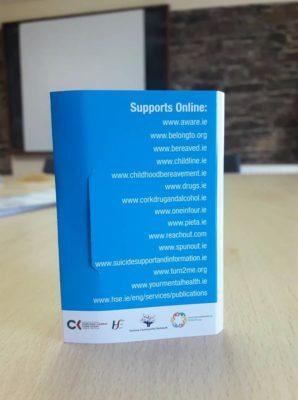 The updated booklet has a new layout with supports listed under headings such as; Emergency Services, Addiction, Bereavement, Child and Adolescent, Counselling, Adult and Older Person and these headings are colour coded which should make it easier for people to find relevant support. The Fermoy Community Network welcomed the announcement on the 1st March 2017 that the Irish government has formally recognised the Ethnicity of the Traveller Community. To mark this significant milestone for Travellers within our locality and throughout Ireland the Fermoy Community Network hosted a community event where they officially marked the recognition of Traveller Ethnicity with the unveiling of a commerative bench in the community garden at Fermoy Resource Centre on McCurtain street. Click on this link to view Photo Montage of Traveller Ethnicity Event Fermoy 13th June 2017. Current membership of the network includes representation from local schools, partnership groups – Avondhu Blackwater Ltd, Community Work Departments, HSE, Mental Health services, HSE, Community Garda, Youth services, Cork Mental Health Foundation, Counselling services, Disability services, Home school liaison services, Fermoy Men’s Club, Fermoy Active Retirement Group, Fermoy Community Health Project, Cork Social and Health Education Project, Muintir Na Tira, Employability Services, Youthreach and various other groups and individuals who are invited to attend sub group discussions and committees as particular topics arise. If you would like to find out more about the group, or become a member, contact either Brendan Scahill, HSE at 086 – 7871123 or Jacinta McCormack at 085 – 8742320.